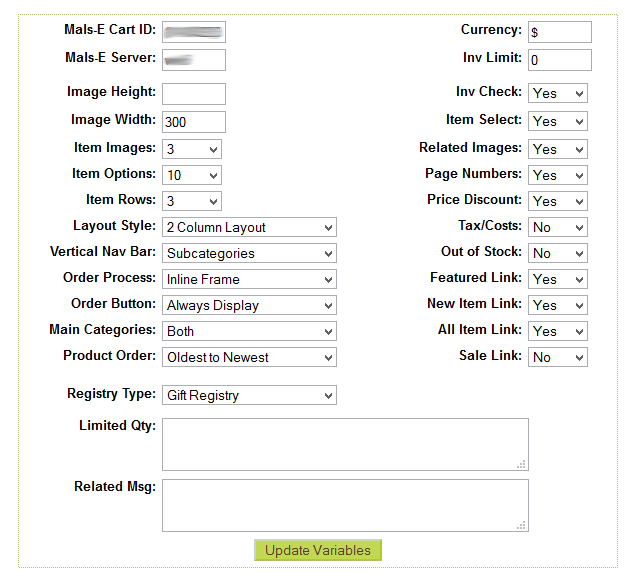 If you would like to track your product inventory, but hide actual inventory amounts from your customers, you do have that option with your online store builder. By default, each product will display the total number of stock on the product description page. If you'd like to track inventory counts but hide the numbers to customers, change the 'Inv Limit' field in the 'Catalog Setup' area of the storeadmin to 0. The stock values will show to the client only if the amount you have in stock for that item (or options if you use inventory by option) is lower than the number you add in the 'Inv Limit' field. In other words, if you enter 9 in the 'Inv Limit' field, counts will only show if you have 8 or fewer in stock. 4. Be sure to save your changes!